Click Here to read even more testimonials. So I was 35, overweight, and extremely unhealthy. I started watching what I ate, counting calories, monitoring protien/carb/fat percentages. I was working out for 1 hour of cardio and 1 hour of weight training 6 days a week, yet I wasn't losing weight. After 2 very difficult pregnancies and PCOS I had been to every doctor and specialist to explain to me what was wrong with my body and no one had any answers. My sister suggested I look into the HCG diet. I researched it online and decided on the program through Healthy-Aging Body because of their doctors, customer service, and sensible approach to this diet. I started at 185 lbs in June of 2010. I was able to turn 36 weighing 148 lbs in August of 2010. I no longer require any medications for my PCOS, I have energy to spare, and just recently ran 4miles in 40minutes. I am able to wear clothes I used to fit in in high school, almost 20 years ago! I have incorporated weight training and my body is shaping itself like it used to in my 20's. I had almost given up on being healthy and looking good but I am so glad I gave it one more shot. I can't thank everyone enough. I don't know if this works this well for everyone but it did amazing things for me. I am now able to have the healthy fufilling life I want with my family. My name is Stacy Soom, I am a 38 year old wife and mother of twoand I work full-time outside of the home. I have struggled with my weight for as long as I can remember and I have been known to joke that I’m still carrying ‘baby weight’ (my children are now 20 and 16 years of age). I began my hCG diet journey 14 weeks ago and I am absolutely thrilled with my results thus far; I have lost 61 pounds and 34.25 inches overall. I have tried many different programs in my life and this is the first weight loss program that has actually made good on its claims. I have burned fat and lost weight and inches just as I was told that I would. Even though the vegetable and fruit food choices in the Very Low Calorie diet are somewhat limited (in my current stage of the program), I have found it very easy to prepare meals that my whole family can enjoy. Not only am I learning to cook and eat healthier, my family is also reaping the benefits of consuming fresh, unprocessed foods. I have never been a very good cook so I have found the hCG Cookbook to be an invaluable resource. I have also been able to be creative at some restaurants and can enjoy a meal out with my family. This program is extremely user-friendly. The hCG injections are easy to administer and the protein shakes are smooth and taste great (I like them slightly frozen). I have started receiving the Slim Shot at the clinic about once a week; I literally can be in and out in less than five minutes – it is very convenient. The staff members of hCG diet center are amazing. I can always count on smiles and laughter when I’m in the clinic and their constant encouragement and support has definitely aided in my weight loss success. My progress is closely monitored and there is a lot of emphasis placed on my overall health and emotional well-being. The benefits of the hCG diet stretch far beyond my physical changes. Suddenly I am confident again, more comfortable in my own skin. And unlike many other weight loss programs, I can enjoy my results because I’m not starving; in fact I’m typically not hungry at all and have to remind myself that it is time to eat. I find that I am satisfied and content and believe it or not, I’m excited each morning to step on that scale! I am so grateful for Dana's program. I was doing everything I thought that was right and I was still gaining weight. 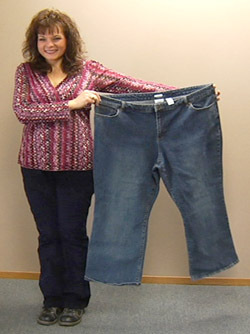 Then I met Dana, after our first consult I learned so much that could help aid my weight loss journey! I weighed in at Dana's office in July of 2011 at 283lbs. I felt as though I was huge! But Dana got me started on my own personalized program from her book the Healthy Aging Diet Medical Weight Loss Plan and it wasn't long before I was down 40 lbs. I went and got some professional pictures done, I looked beautiful, but I still had a long way to go. 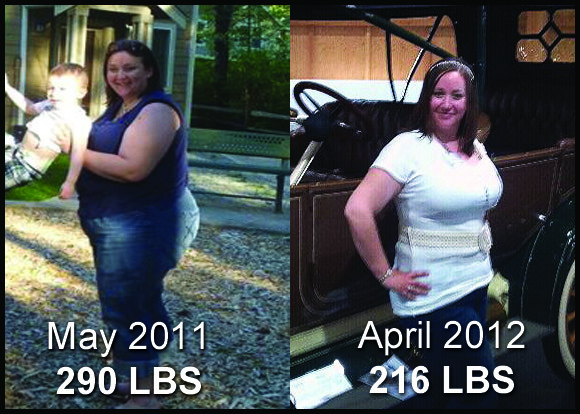 With the continuous support that I received through the Healthy Aging Diet plan I was able to release another 35 lbs. I am currently as of June 2012 down to 215 lbs! I look and feel amazing! My journey isn't finished yet though. I still have a ways to go!! I am confident with the help of Dana I will be there in no time at all! Thank you so much Dana for helping me come so far in my journey.